First let me introduce my new line of Clay And Metal Pendants. 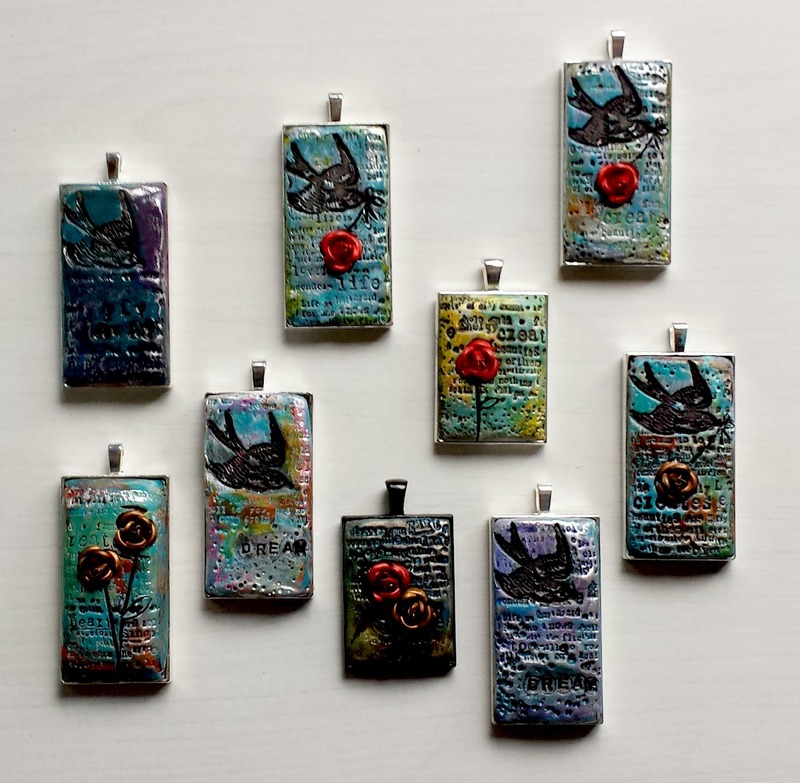 These pendants are all made one at a time, by hand. 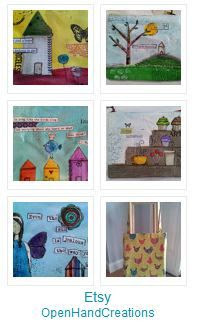 Sculpted, baked, painted, embellished and sealed. It would make a great holiday gift or stocking stuffer for that creative person in your life. These pendents range in price from about 25.00 to 40.00 USD and will come with a gunmetal, 18″ metal chain with clasp. Now … Let’s Support LiNK! LiNK is an organization dedicated to the Rescue, Rehabilitation and Resettlement of North Korean Refugees. (I am not affiliated to LiNK in any way). This organization is especially close to my heart. Since 1953, 100,000–300,000 North Koreans have defected, most of whom have fled to Russia or China (online source). Some defected to South Korea… My father (and his immediate family) are among those people. When I hear stories of my dad’s past and the hardship and unfathomable pain he had to endure as a young child, I can’t help but cry out because I feel his pain through his recollections. It equally breaks my heart to see that the people of North Korea are still yearning for freedom and peaceful lives. I am grateful that he was able to come to live in a free country, South Korea, and eventually immigrate to the US. Not everyone is that lucky. I’m sure along the way there were people helping him and his family… and that is what I wish to do. Defectors of North Korea risk their lives for freedom. They sometimes have elaborate plans to escape and if caught are most often returned to North Korea where they face harsh punishments (ie. years hard labor in far less than humane conditions). I want to help and I’m asking for your help too… here’s one way how. and 100% of my profit will be donated to benefit LiNK. 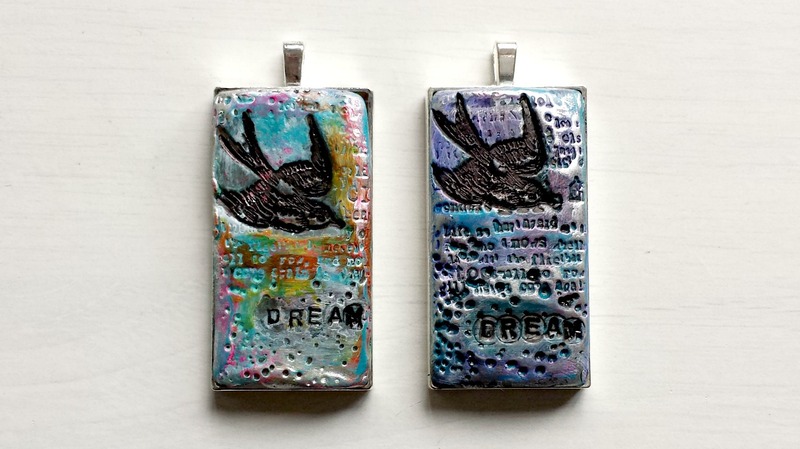 Dream Pendant with Chain Link (gunmetal) Necklace (sorry… not shown here… but it is included). but can you imagine what a group of people can do? If you wish to help LiNK directly, please visit their site. There you will find a huge amount of information including many ways you can help. Another way you can help is by purchasing this Pendant Necklace : Dream by visiting my etsy shop (currently this is the only place to purchase this pendant – but I hope to be able to place them in a few local shops – in this case I will donate 100% of my share to LiNK.). I am committing to this project for one year (and hopefully for many years after – but let’s start with 1 year). Each time we hit the $100 mark, I will send a paypal payment to LiNK and keep a running total on this blog. I appreciate your support and welcome any comments or ideas you want to share with me! And PLEASE SHARE! if you have a local shop and would be willing to showcase some of these pendant necklaces please either leave a comment here, or contact me at thoughtfulcreations22@gmail.com. As I mentioned earlier, I will donate my share of the proceeds. Let me know if you will partner with me! « Introducing Mixed Media Leather Wallets!